Meet fifth-grader Charlotte Holmberg, who might be the most clever Girl Scout of all time. After selling over 2,000 boxes of cookies last year, she was given the title of “Cookie CEO.” But, this year lil’ miss CEO is out to beat her own record. Charlotte’s mom works in marketing. 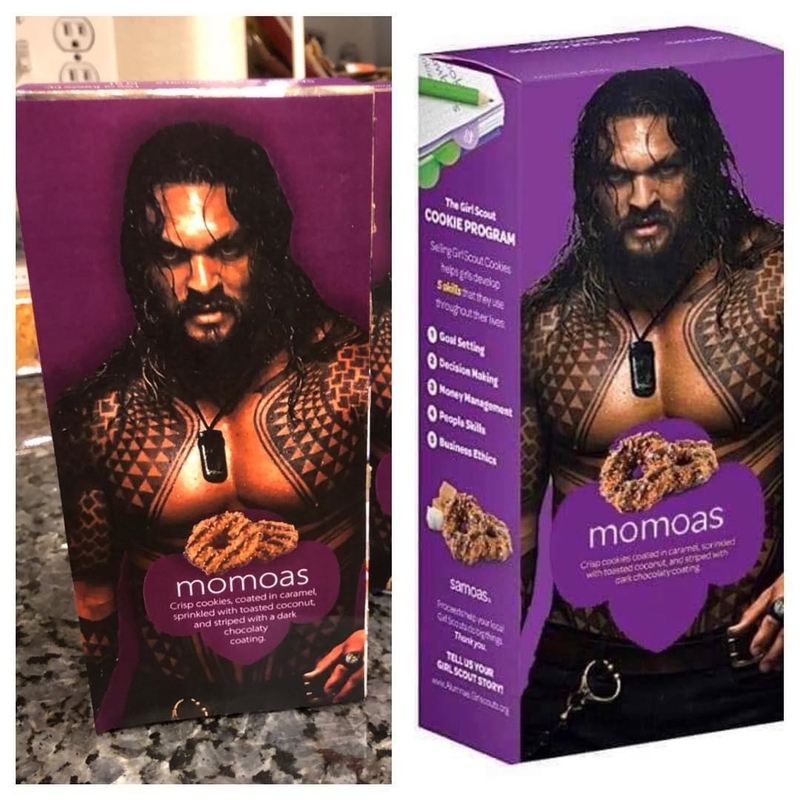 She noticed a meme that showed how similar “Samoa” and “Momoa” sounded, and the idea was born. Side note: Somoas may also be called Caramel DeLites, depending on where you live. They promoted the boxes on social media and, not surprisingly, she was selling the cookies by the case! All we can say is, “Thank you, Charlotte,” for this wonderful addition to our beloved Girl Scout Samoas.